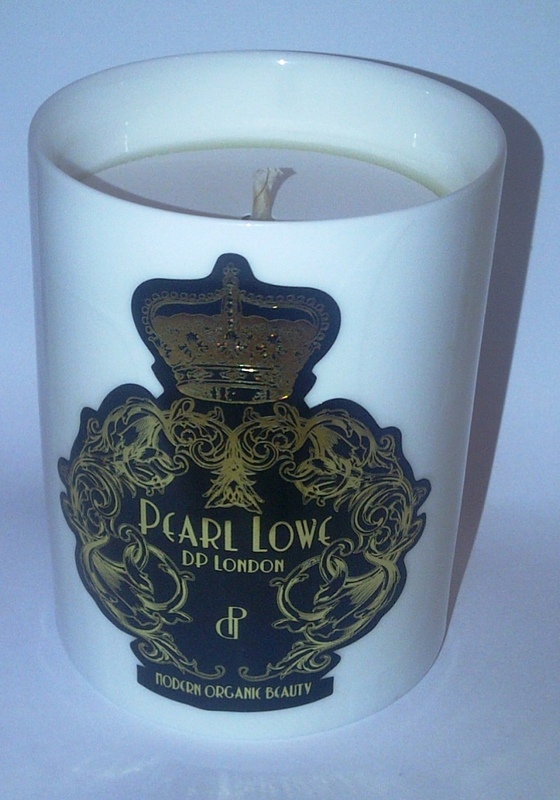 In a creative collaboration, DP London has partnered with British designer Pearl Lowe to create a range of collector's edition candles in its 3 iconic fragrances. Spiced Punch is the perfect winter scent. 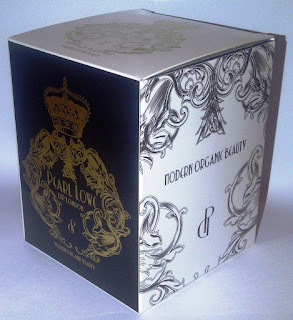 A blend of bergamot, orange peel, cedar wood and cinnamon, ginger, nutmeg and vanilla. Can anything evoke the scent of Christmas quite like this? I have been burning this candle for the last few evenings, it is incredibly calming and wraps the room in a gorgeously light spicy scent. This is neither overly masculine or feminine. 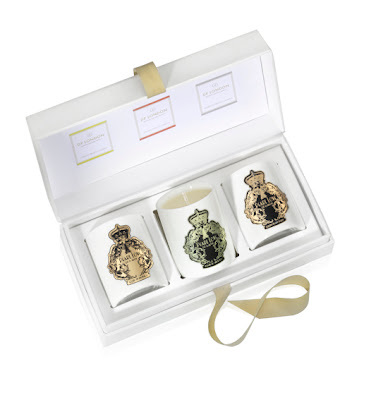 This set would make an ideal Christmas Gift, it features 3 equally wonderful scented mini candles all with a Pearl Lowe design. White Flowers - A heavenly blend of exotic Jasmine, the purest Moroccan roses and sweet Orange Blossom in bloom. Citrus Fruits - A warm blend of Sicilian lemon peel, juicy orange combined with the fresher, green citrus notes of Italian bergamot and a spicy twist of root ginger. DP London candles have strong eco-credentials, being neither damaging to your health or the environment -All candles are made from 100% natural wax, containing a sustainable beeswax and EcoSoya with an organic fragrance. 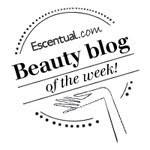 They may be used singly or together to create an alluring aroma. They contain no paraffin (the mining of which is unsustainable) or palm oil (a product which contributes to deforestation). The candles are presented in a reusable bespoke, handmade Japanese porcelain container. These candles are beautiful and I think this is a perfect partnership of Pearl Lowe's style and design and DP London's beauty and lifestyle brand.